Radice comments: “As an English poet-translator, based in the West but widely published and read in India, I have had to face two ways. On the one hand I’ve had to try to put Tagore’s writings across to a readership that is largely ignorant of his cultural and historical background. On the other, I have had to make my work acceptable in a context in which Tagore is well known and where a great deal of scholarship has accumulated. This is an enormous double challenge” (page 8). Radice met this double challenge famously with two widely known works of translation, Selected Poems (1985) from Tagore’s total corpus of works, and a new translation of the poems in Gitanjali (2011), carefully edited after comparing Tagore’s original manuscript and the version that was edited by W.B. Yeats and published in 1912. Radice’s participation in various celebratory conferences and lectures all over the world between 2011, Tagore’s 150th birth anniversary, and 2013, the centenary of the Nobel Prize award to Tagore, produced a large crop of fresh writings on Tagore. These have remained uncollected, chiefly because he has been unable to engage in literary activities since Radice met with an accident in May 2013. Martin Kampchen, the editor of this collection of essays, writes: “I offered to William Radice to edit his lectures, he readily agreed and sent me a mass of files.” And some pieces recovered from those files are presented in this book. The title of this collection is the title of one of Radice’s essays. The editor and the Social Science Press are to be congratulated on this endeavour to bring to readers the uncollected recent writings of Radice. Radice is keenly aware that a translator, Janus-faced, straddles two cultural worlds. That is the experience of all translators. But as a poet-translator, he has had a special role, a consequence of himself being a considerable poet. He writes of his experience: “When I started in 1973-74 to read Rabindranath’s poetry… I had to struggle hard with grammar and with the meanings of words just as any foreign learner has to do. But as a poet myself, and one for whom the sounds and rhythm of poetry have always been immensely important, I found myself responding to the sounds of Rabindranath’s poems in an instinctive and intuitive way” (page 4). The Newdigate Prize is given each year to the best composition of English verse by an undergraduate in Oxford University and it was awarded to Radice in 1970. (By coincidence I happened to be at St. Antony’s College, Oxford, that year, while Radice was in Magdalen College.) Among the previous recipients of this award were John Ruskin, Matthew Arnold, Lawrence Binyon and Oscar Wilde. What motivation drove a poet thus recognised in his youth to devote his mature years to translating Tagore? What drove Radice to offer an alternative translation of Gitanjali in 2011, though the edition of 1912 had attained an iconic status in literary circles a hundred years ago? Perhaps it is the poet in Radice who is the driving spirit—touched by Tagore’s poetry. How the poet in Radice takes over from the translator is to my mind the core of the story in most of the essays in this collection. To begin with, one notices in Radice’s approach to Tagore’s poems a concern with technique, particularly in respect of the rhythm of the verse. As a poet he was interested in technicalities, which other translators would have missed. Consider, for instance, his comment on Tagore’s treatment of the double consonant. “Combined or double consonants in the Bengali language have a different weight from single consonants and it is crucial to understand the difference if one is to hear the rhythms and metres of Tagore’s writings properly…. Take any piece of writing by Tagore, whether in verse or prose, and you will find the interplay between single consonants and combined or double consonants is crucial to its rhythmic effect. I was trying to capture that kind of sonic effect by the combined consonants in my English translation” (page 23). Again, Radice as a poet-translator is keenly conscious of the flow of a piece of writing as it originally issued from the poet’s mind. He compared Tagore’s original manuscript, now in the Rothenstein collection at Harvard, with the version you find in the 1912 publication, after Yeats had done his editorial work. Radice found that the rhythm of the original was interrupted in the printed text by a profusion of commas, which were inserted later. Moreover, the flow of writing was stemmed and brought to a closure at times by paragraphing the text and thus breaking it up. What did Radice’s interest in technique as a poet bring to the translation and appreciation of Tagore? The issue of technique comes up in several essays of Radice. His aim was the “translation of the form and sound of the original poem, as well as its literal meaning” (page 152). To ensure that as a poet he sometimes even chose to depart, if necessary, from the norm of the standard English form of the sonnet. He also eschewed the profuse use of commas and paragraph division, which impeded in the 1912 edition of Gitanjali the flow of energy he saw in the Bengali original. Apropos of Radice’s new translation of Gitanjali, he reveals his considered opinion that Yeats, in editing Tagore’s translations in 1912, did a lot of damage to the spirit and rhythm of Tagore’s poetry. Prima facie this is, needless to say, not implausible, for Yeats did not know the Bengali language. But according to Radice, there is more to it than that. When he compared the original in Tagore’s manuscript with the published version after Yeats’ editing, Radice found that Yeats had changed the sequence of the 83 poems. Moreover, he found the “rhythmic energy” and power of Tagore’s original version absent in the published text of Gitanjali. That, Radice surmises, was the reason why translations in that work “have not stood the test of time for many readers across the world” and “have not convinced them that he was a great poet” (page 204). Radice also cites evidence from Tagore’s letter to Rothenstein about 19 years after the Nobel Prize award. Tagore recalls the “accident” of being discovered by Rothenstein and Yeats and says that he felt “ashamed that I whose undoubted claim has been recognised by my countrymen to a sovereignty in our own world of letters should not have waited till it was discovered by the outside world in its own true majesty and environment, that I should ever go out of my way to court the attention of others having their own language for their enjoyment and use” (page 138). 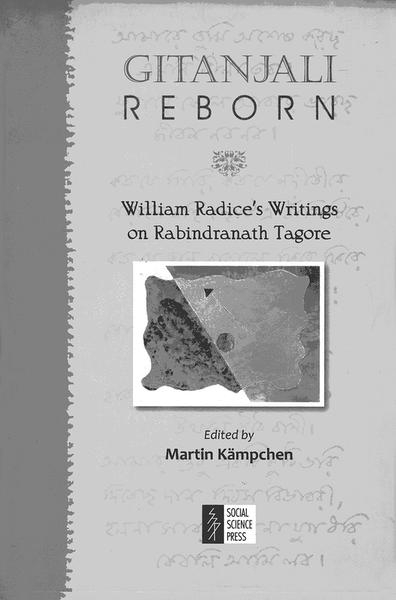 Radice made it his mission to restore Tagore’s poetry to its true place, “in its own true majesty and environment”, so that “Tagore as a man and as a poet can gradually be better understood” (page 139). This agenda statement from Radice was published by him in an essay, “Tagore Before and After 1912”, published in June 2011. Thus, it is abundantly clear that as a poet Radice enjoyed an advantage over other translators. Radice quotes poems addressed to Tagore by poets like Shamsur Rehman (amader diyechho bhasha, tar dhvani…), and Juan Ramon Jimenez (“It is our desire to give a body to your great heart…”, translation by Malabika Bhattacharya) and that suggests that possibly their poetic sensibilities provided poets like him special access to Tagore’s creative mind. As a poet, Radice shows a rare sensitiveness to the inner connectedness uniting Tagore’s poetry with his musical and graphic creations. He raises questions that have not been raised earlier. For instance, he asks why in the printed text of his songs in Bengali, Tagore does not use repetitions although in rendering the songs, repetition by the performer is the norm. Radice’s surmise is that appropriate repetition is so embedded in the mind of the author and the singers that there is no need felt for including that in the text; it is somewhat like the absence of repetition in the text of Urdu ghazals, though performance would demand repetition (page 67). 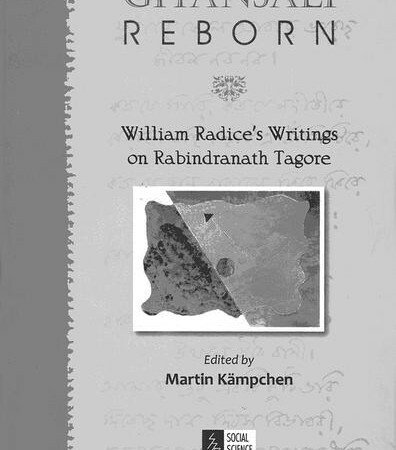 In the historical development of Tagore studies for over a century, Radice’s contribution has been a landmark, and one hopes that he will soon recover from the effects of the injuries he suffered in 2013 and continue to contribute to that discourse.